In the past I've not been the biggest fan of Barry M's make-up products,but the Get Up And Glow Palette has made me reconsider. I purchased this product back in May and it's now become a bit of a staple in my everyday make-up routine. I know that we're never supposed to judge a book by it's cover (does the same rule apply to make-up products?) 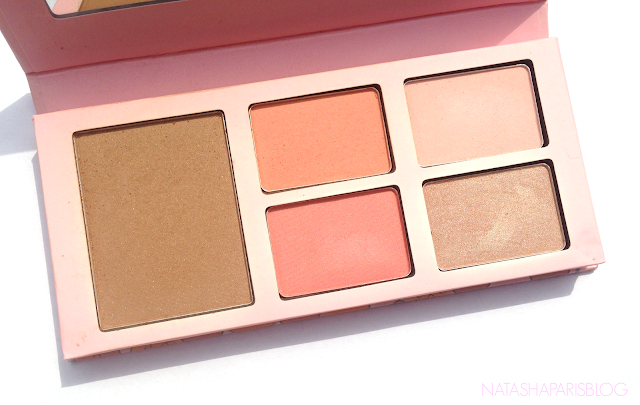 but the packaging of this palette is oh so pretty, with pale pink and rose gold tones. The packaging of the palette is sturdy, so I don't feel I have to worry about popping it into my bag when I'm on the go. 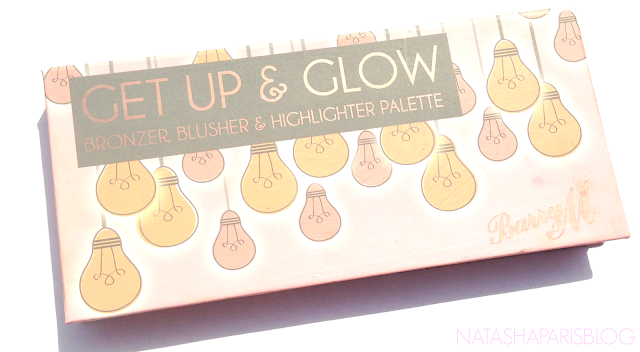 Get Up And Glow is what I would describe as a warm toned palette. The palette contains three blushers (a coral shade, a peach shade, and a dusky pink shade) along with a bronzer and a highlighter. The shades in the palette can be used individually but you can also combine some of them together if you fancy something a little bit different. The palette doesn't come with any form of applicator so it's worth making sure you have your brush of choice on hand for seamless application. When applied I've found that these powders create a lovely natural look, which is exactly what I want from a bronze/blush palette. The shades I've been getting the most use from are the bronzer (which I've been using for a subtle contour) and the coral blush shade. I have to admit that I'm not a huge fan of the highlight shade, the pigmentation just isn't there for me.